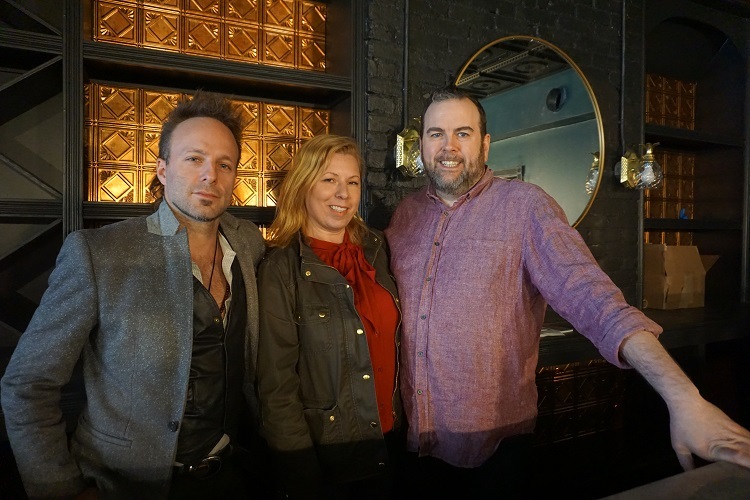 Con Alma owners John Shannon, Aimee Marshall and Josh Ross share a love of jazz, food and cocktails. Photo by Kristy Locklin. A soon-to-open restaurant in Shadyside will pay homage to the town’s jazz history while introducing a new generation to the art form. Con Alma, which means “with soul,” is a labor of love for Shannon and business partners Chef Josh Ross and Beverage Director Aimee Marshall. Located in a 140-year-old building on Ellsworth Ave., the venue will feature live jazz six nights a week, Prohibition-era cocktails and Latin-inspired cuisine. In January, the team began renovating the 1,900-square-foot space, creating the vibe of an old speakeasy. The walls and ceiling are dark, but the main room is warmed by gold accents and light fixtures. A large front window showcases the stage and mahogany bar. There are bistro tables and lounge-style booths throughout the building, a green room downstairs and a covered patio in the back that can accommodate 40 people. The space is deliberately low-tech: There are no televisions and the sound system is designed specifically for vinyl records, which will spin when there is no live entertainment. Shannon, a guitarist and composer, will lead the house band, the Nosmo King Trio — named in honor of his grandfather, Pittsburgh radio personality Paul Shannon — on weeknights, while local acts will take the spotlight on the weekends. 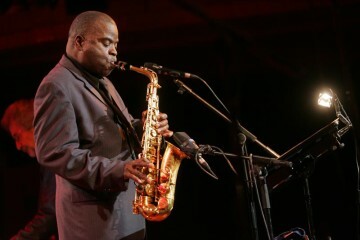 After living and performing in New York City for 12 years, Shannon returned to Pittsburgh on a mission to resurrect the jazz scene here. He recruited Ross, the son of his former music teacher. Ross, who has worked in local kitchens including Pirata, Bravo Franco and Pan Asian Kitchen, is creating a menu that includes empanadas, arroz con pollo and tacos. You can’t have a speakeasy without drinks, so Marshall — who has been bartending and following the city’s jazz scene for more than 30 years — has a lineup of citrus-based, fruit-forward cocktails that are lighter versions of Latin and Prohibition classics. Guests can sip a black pepper and cardamom Caipirinha and or an East End Sidecar with canela and naranja agria. Fresh tropical fruits and vegetables and cold brew coffee will appear in brunch beverages. The wine list will consist of old-world varietals. By early May, Con Alma will be open weeknights (except Tuesdays), Saturdays from 5 p.m. to 2 a.m. and Sundays 10 a.m. to 3 p.m.